Phello is holding our latest product. 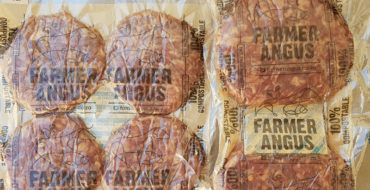 It is the first product that we are selling that does not come from the farm. For many reasons the nutritional content of our foods have declined over time and so we need supplements. I am not a dietitian but logic tells me that you need to rebuild your body all the time and the mechanism through which your body does that is though proteins which are built from amino acids. Hydrolysed beef collagen is packed with these building blocks. Collagen is the most abundant protein in the body, and gives structure to your skin, bones, muscles, and all other connective tissue. Your body produces less of it as you get older, which results in fine lines and wrinkles. Taking collagen orally can improve skin elasticity, reduce wrinkles, and increase skin moisture. We have chosen to pack in glass as we cannot find biodegradable plastic…yet. 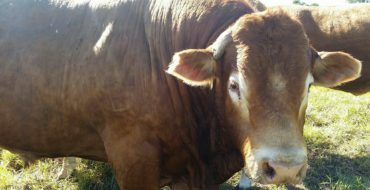 We recommend a retail selling price of R600 per kg. 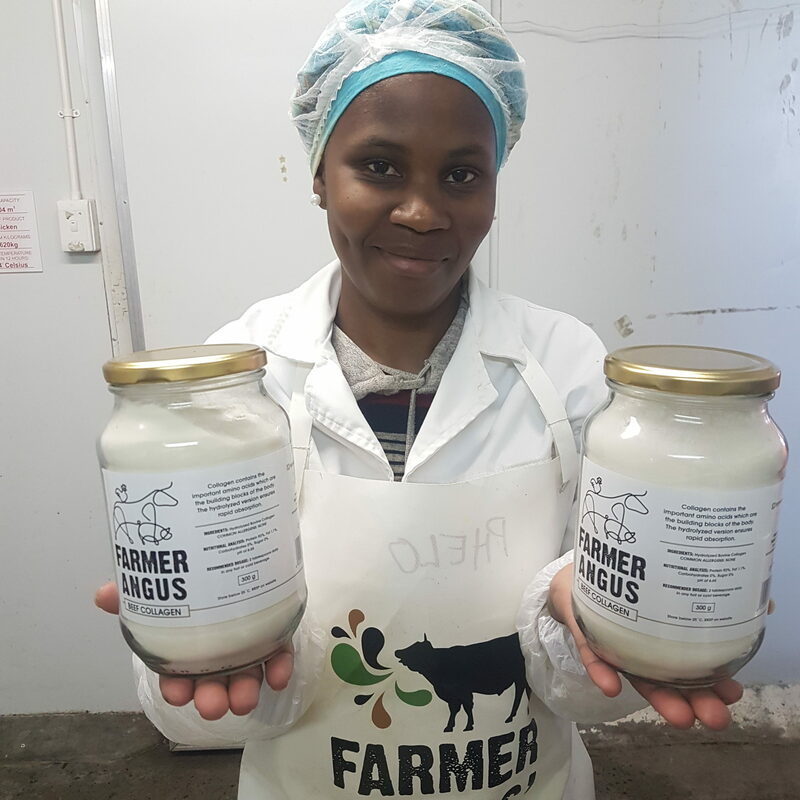 Some collagens are retailing at R2,000 per kg. It is exactly the same product. We have chosen the hydrolysed version as this is quickly absorbed into the body. 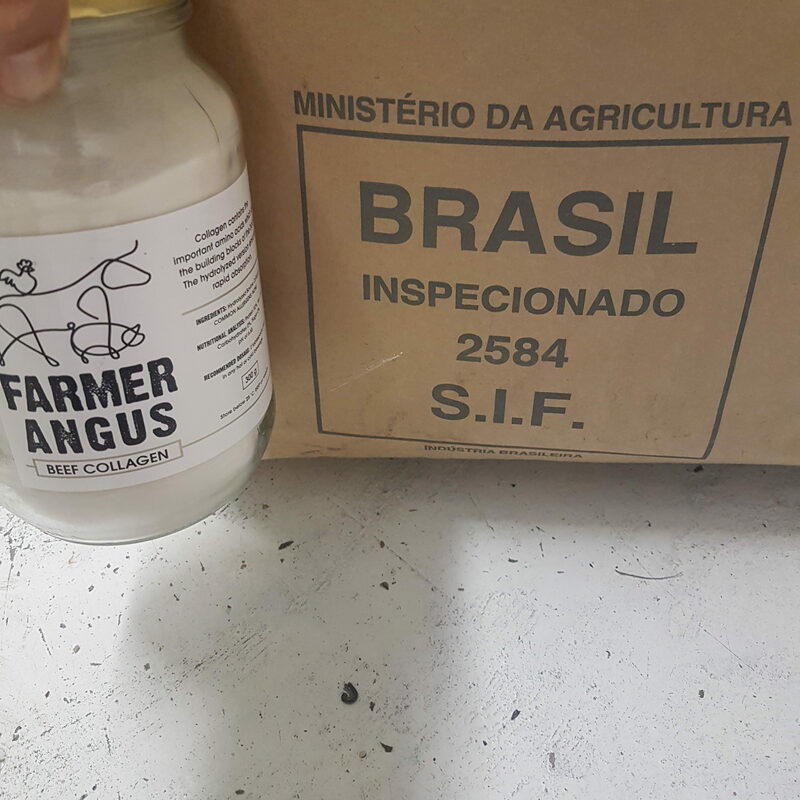 As you can see our product comes from Brazil. We have all the documentation to prove the chemical analysis. Please email here if you want to see it. Latest products – Verhackert/Pork Pate and Salami SticksSustainability is defeatist, Veganism is defeatist and Vegetarianism is defeatist. Where can I buy this in Cape Town Southern Suburbs or closest to Hout Bay ? I am so glad that you are stocking the Hydrolyzed Collagen! I have been looking for a good grass fed product but the only ones I can find are too expensive. This is great! I’ve placed an order for 2 already! I have just bought your product from Organic Zone and am excited to see the results. Can you advise of the KJ/energy content per 100 grams? 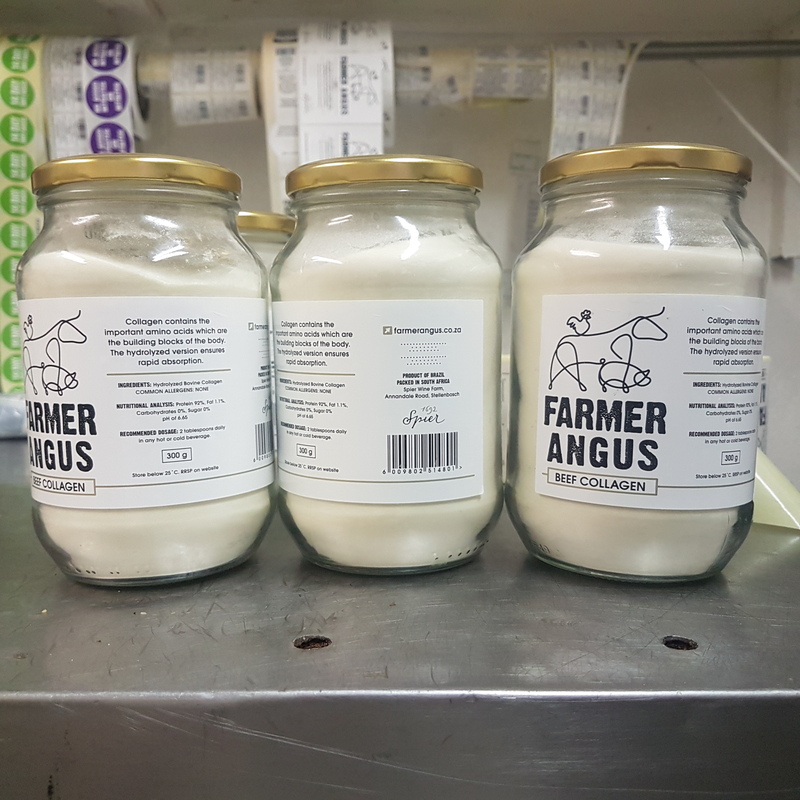 It would be useful for you to add this to your labelling as the other products have it and it is important to be able to compare correctly. Please go to my latest blog posting. It has the energy content there. Can you please tell me the energy content kj or calories? Not on your label and need to compare as other products state it on their labels. Hi Angus. Eye-opening blog for sure!! Im posting because it might be of some help. U mention using glass as a container for the beef collagen. I have heard that plastics made from cannibus Is the best biodigradable product available. I am not an expert, i am an enthusiastic family man. I do have a question thou. Where do we find seeds that have not been Compromised by Genetic modification of any kind?? As u can imagine,I try to “convert” to a more natural way of providing food for the table. Especially after “waking up” to this obviouse food crisis that is infact world wide, never expected South africa to be so deep within it. Growing up in a small town, does have its bennefits to skills that is mostly forgotten. Am currently constructing a traditional walipini greenhouse in our suburban owned property. Have loads of garden waste, compost heap is going, only need good seeds??? The best seeds are the ones that you harvest from your own garden. They are epigenetically adapted to your property. If you have a contact for the cannabis plastics please put me in touch.